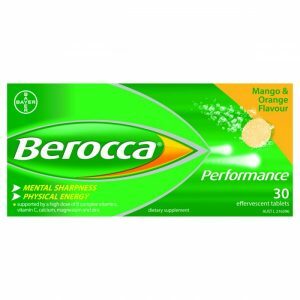 Berocca Boost With Guarana may help to improve mental sharpness and physical energy. 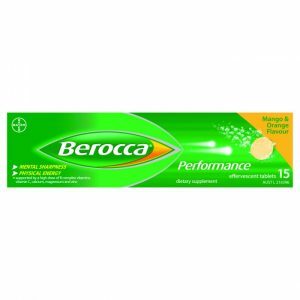 Helps Improve Concentration, Clarity And Stamina. 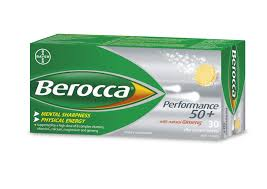 Helps Improve Mental Sharpness And Physical Energy. Cardiprin 100 inhibits blood clotting and reduces the risk of heart attack and stroke in patients with blood vessel disorders. 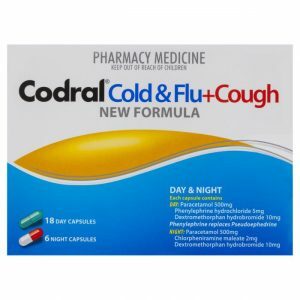 New Formula Codral Cold & Flu + Cough May Help Provide Relief In The Day And Allow Rest In The Night. Contains 18 Day Capsules And 6 Night Capsules. Contains 36 Day Capsules And 12 Night Capsules. 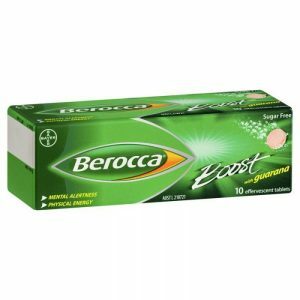 Codral Cold & Flu Tablets May Help Provide Relief For Headaches And Fever, Blocked/Runny Nose And Body Aches And Pains. 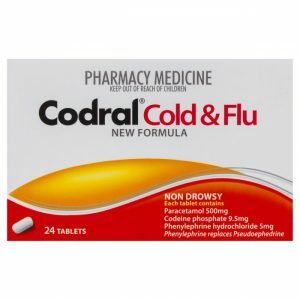 New Formula Codral Day & Night which may help relieve cold symptoms. 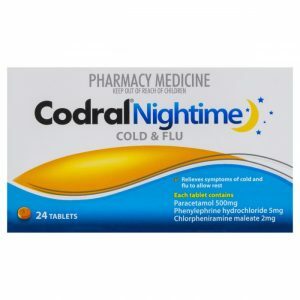 Codral Nightime Cold & Flu Tablets May Assist Night Time Rest By Relieving The Symptoms Of Cold And Flu. 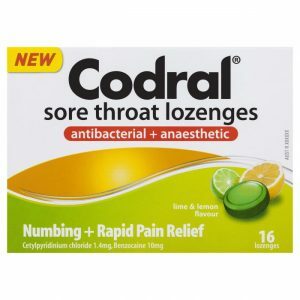 Codral Sore Throat Lozenges Antibacterial + Anaesthetic May Help Provide Numbing And Rapid Pain Relief With Lime And Lemon Flavour. 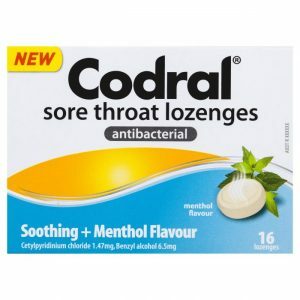 Codral Sore Throat Antibacterial Lozenges May Help Soothe The Throat With Menthol Flavour. 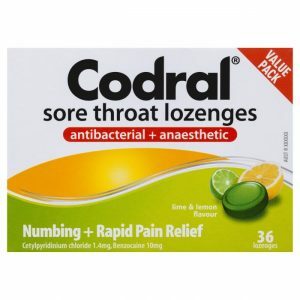 Codral Sore Throat Lozenges Antibacterial May Help Soothe Your Throat With Honey & Lemon Flavour. 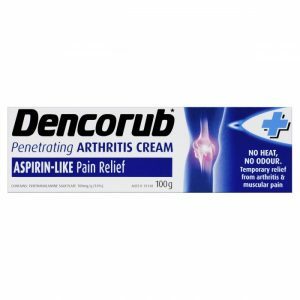 Penetrating Arthritis Cream. 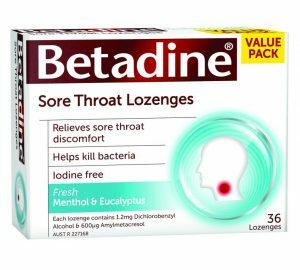 Aspirin-Like Pain Relief. 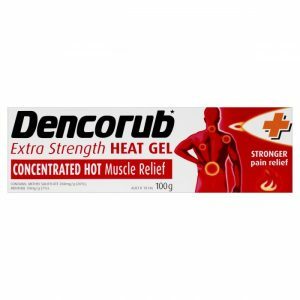 Concentrated hot muscle relief. Strong pain relief. 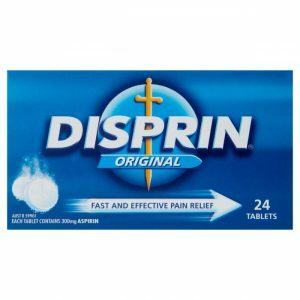 Disprin Original Tablets Provides Fast And Effective Pain Relief. 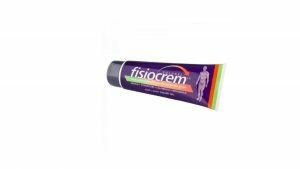 Fisiocrem offers a fast release of natural ingredients that relieve common muscle, joint, and back pains resulting from everyday life and sports injuries. 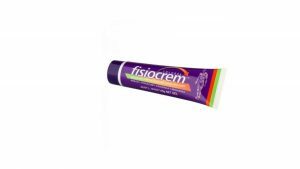 Fisiocrem is clean, easy to use and has a pleasant natural fragrance. It can be used with physiotherapeutic ultrasound and can be used in combination with other treatment options, such as ice or heat packs, or before applying supportive bandages.